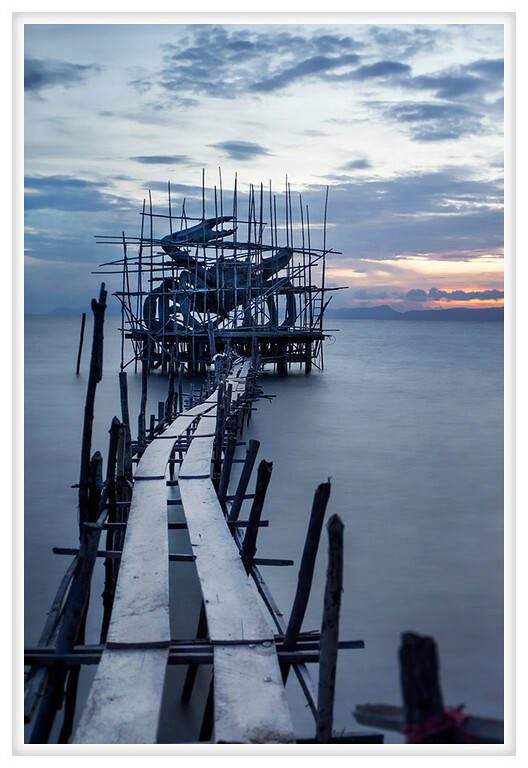 The little coastal town of Kep is famous as a derelict site of French colonial holiday makers. Though it has seen better times the town is turning around and tourism is on the rise. There are still many villas abandoned along the waterfront that have been snapped up by investors after the fall of the Khmer Rouge. It is a tranquil place where the people make a living off of the ocean. They are accomplished fishermen and crabbers. That is one of the biggest draws to this small community, the fresh delicious crab. You can sit at a small restaurant on the beach and watch them unload the crabs moments before they are delivered to your table smothered in a savory sauce laden with Kampot's famous pepper corns. Basins of warm scented water are left at the table so you can wash up a big after gorging on these delicately sweet crustaceans. So important is crab to the local economy that they have erected a massive statute these amazing animals.